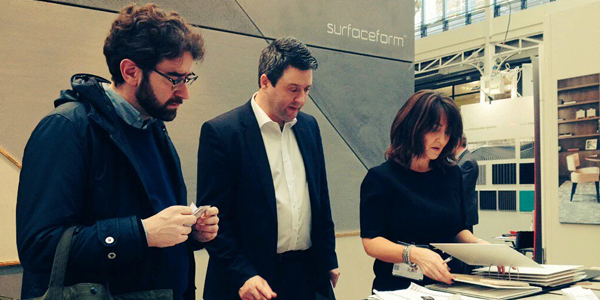 Surfaceform were amongst the 150 surface design exhibitors at this years’ Surface Design Show. A record 6000 architects, designers and specifiers visited London’s Business Design Centre for interior inspiration. Surface Design Show was the perfect event for our Concrete effect polished plaster and our relief feature wall alongside combinations and designs amongst the creative community. Our combination of Concrete finishes in a stencil design with gold Insert and shadow gaps which add to the overall effect of the design was particularly well received. We look forward to collaborating with the talented designers, architects and specifiers we met at this year’s Surface Design Show. We have already booked our place for Surface Design Show 2017 and are excited to announce we are looking forward to further exhibitions in 2016!